There's no doubt that teenage girls, those consummate consumers, will love this. But one of the beautiful things about shopping online is that you can do it in the privacy of your own home, without anyone judging your choices. Polyvore is a chance for all of your online "friends" to tell you how much they hate your taste in clothes, what a label-whore you are and how you probably shouldn't be wearing skirts so short. Or maybe that's just negative thinking. Anyway, all this "girls love putting together outfits!" 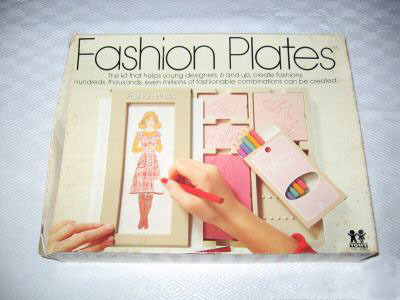 stuff reminds us: We totally had Fashion Plates when we were little. Instead of creating "fashionable" outfits, we felt like the point was to create an ensemble as hideous as is possible when working with colored pencils. Wait, we changed our minds: Polyvore is awesome! We're going to make a disgusting "set" right now.